I've got a payment for either of the number of times of the Paid-to-promote.Net just posting banners on my blog, though not large amounts of only a few cents but at least I got something from doing anything. 1 Create your FREE Account ,Fill the form Here. Auto Pay . 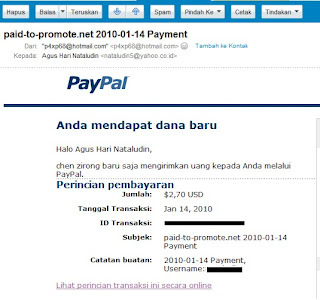 Not required E-mail request for payment ! This is looks good. I'd like to try. Thanks for sharing.